Debt Funds Types in India and their categorization and rationalization has been done by SEBI. Most People think that Mutual funds will invest in stock market only. But mutual funds also have an other type of funds called debt funds which invest in bonds, money market etc. If you would like to invest in stock market, then you require some scans to short list the list of stocks. Click this link to scan the stocks. 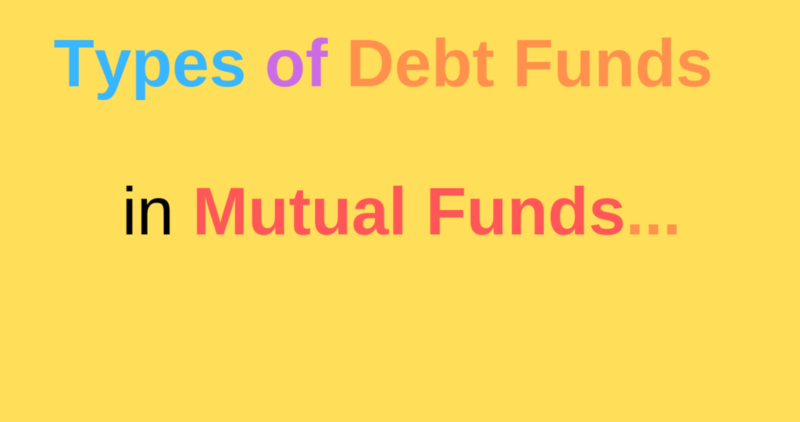 The Debt funds are categorized and rationalization of mutual funds done by SEBI are mainly divided into 16 types. Let us understand them in detail for our understanding. If you notice above image there are 16 types of Debt Funds. Moreover, you can find word Macaulary Duration is repeated so many times when defining fund type. What is Macaulay Duration Meaning in Debt Funds? Macaulay Duration will tell you that How many years required to recover true cost of a bond. This method assumes present value of all the coupons and Principal Payment in the future. Thus the only type of duration quoted is in years only in this method. You can calculate the Macaulay Duration of a Bond using below formulae. This concept is developed by Federick Macaulay. Moreover, this concept is very useful in analyzing bond risk. I will tell you small example to understand it better. When investors want to invest they have two options 1. to deposit in Bank Fixed Depost 2. To deposit in Government Bonds or Corporate Bonds. Here, Bank Deposit investors cannot sell their FD to other investors while at the same time Bond investor can sell their bonds to other investors before maturity. But at the time the selling the bond the buyer of the bond will look at the present interest rates in the Banks and compare to the coupon ( interest ) of the bond. If the interest rate of the bond is higher than the bank FD rate, then buyer will pay premium to the bond. As a result of this bonds not only have interest ( coupon rate) but also they have the capability to give capital gain or capital loss too. But this capital gain or capital loss facility is not available in Bank Fixed Deposits. It looks confusing. So, do not think too much about this method of calculation. 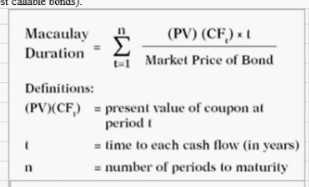 Instead of remembering this formulae and Macaulay Duration Method, always remember that higher the duration of the bond the higher will be risk. As higher duration bonds will give you low or negative returns when interest rates go up. So, longer the duration of a bond higher will be the risk in the bond. This is due to as bond prices inversely proportional to interest rates. Moreover, always be careful before entering into longer duration funds. If you are sure that interest rates are about to go down in near future then only you should enter into longer duration funds. Other wise stick to shorter duration funds. However, If you notice Sebi are classified only 8 Types of Debt funds using Macaulay Duration. Hence, Just looking at Macaulay Duration is not enough to measure the risks of the debt funds. When selecting a Debt Fund out of different types of Debt funds available, You should know about the credit risk involved in debt funds too. Debt funds invest in Treasury bills, Money Market, Bonds, Government Bonds, Certificate of Deposits, Commercial Paper etc. Moreover, the credit quality of these instruments in Debt fund is measured using ratings. Generally, The higher the rating the lower will be risk or return. Here, there a misconception among people that lower the credit quality that higher the probability of bond issuer defaults. Let’s Assume that a company called X has credit rating “AAA” which is highest rating for bonds. Here, please do not assume that this rating will remain permanently. If there is a change in financial health of the company, this ‘AAA” rating can go down as below to rating “D”. Recently, DHFL rating fallen steeply because rating down grade as its financial health has gone down badly. Similarly, a low rated bond, can be given high rating if it’s financial health improves. Hence, never believe that the rating a bond will not change. The modified duration is also one the important risk factor to look while selecting a debt fund from different types of debt funds. It tells How sensible is the bond when there is a change in the interest rate. Moreover, Modified Duration generally measured in years. For example, if a fund has a modified duration of 2.5 years. Then if there is a 1% change in the interest rate then the fund return will go down or go up by 2.1%. Hence, The higher the modified duration of a debt fund, the higher will be the interest rate risk for that debt fund. As I have already said above the debt fund will invest in different types of bonds. Here, these different bonds will have different maturities and different maturity dates. Average maturity of a bond is simply the weighted average time left for the different bonds in portfolio. Hence, Higher the average maturity of a debt fund means the higher the risk towards interest rate change. As you are aware every investment has some cost that you to bear. Here, some of the debt funds have exit load that means while withdrawing your investment from debt fund, you have to pay some exit load. So, always be careful with the debt funds exit load time period. However, you have to pay long term capital gain if the holding period is more than 3 years. Moreover, The taxation rules in debt funds are same to Non Resident Indian and Resident Indian. The Taxation rates are shown in the below image. Here, in above you can find indexation work repeated few times. I will explain in a simple manner about indexation. We have to pay long term capital gain tax only when our investment return is over and above inflation in the same period of investment. However, we do not need pay any tax if the return is below the inflation in investment period. But in case of Bank Fixed Deposit, you have to pay tax on the interest accumulated every years irrespective of the inflation in the same period. I will explain in detail about indexation in some other article. 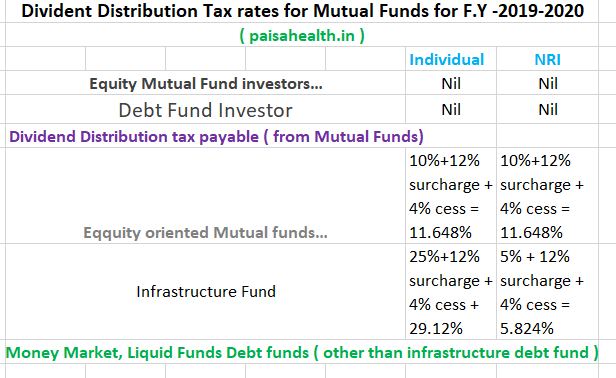 In addition, one more additional benefit with debt funds is you do not need to pay any kind of tax in growth option if you do not withdraw any amount invested. 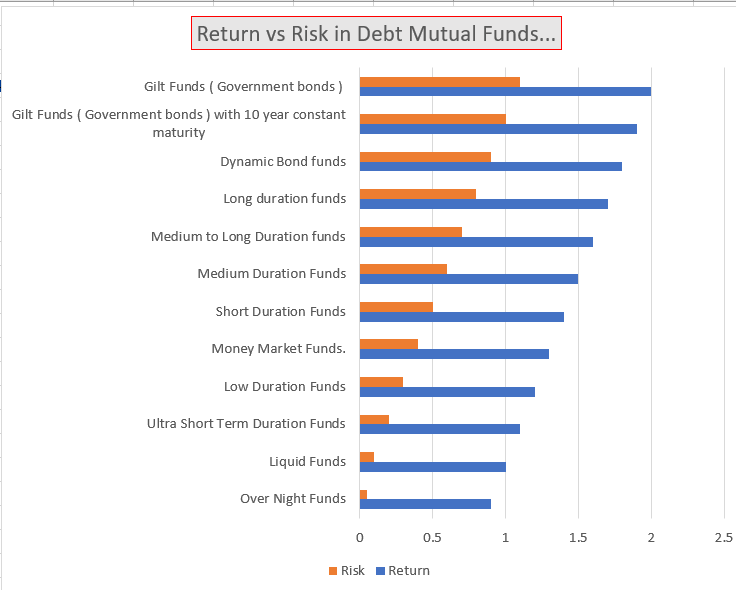 Return vs Risk in Debt Funds – After Sebi Categorization of types of debt funds. If you see above image as the risk ( yellow ) increases the return ( blue) also increasing. Always do remember that dynamic bonds have the right to buy long term duration bonds if the fund manager thinks that there is a scope of interest rates can go down. But if the fund manager view comes out wrong and if the interest rates go up instead going down, then your return will come down in debt funds. So, I strongly recommend you to keep away from the dynamic bond funds. Here, That is why I kept dynamic bond funds over long term debt funds in the image. In addition, if you see Gilt funds are having highest risk in the image. As these funds will invest in very long term Government bonds, they have higher interest risk and duration risk. However, these “Gilt Funds” do not have credit risk as these funds will invest in only Government Securities. We all know that Government will not default in paying maturities in the bonds. Hence, the risk is lowest for over night funds and highest for Gilt Funds. 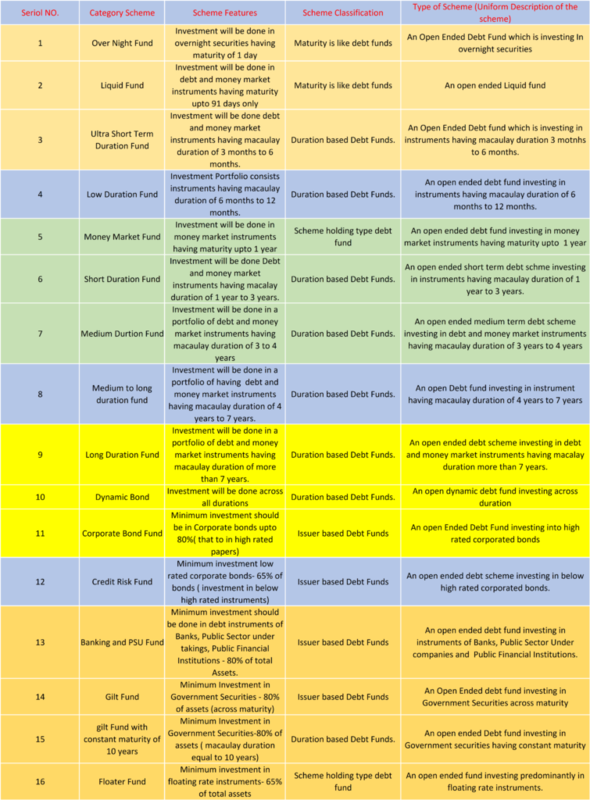 There are 16 types of Debt funds available to choose. Here, Debt funds falls under fixed income category like Bank Fixed Deposits, PPF, EPF and Postal Deposits, Debentures etc. So, to diversify your investments you have to invest some amount into debt funds. But unlike other fixed income PPF and Bank FD, debt funds funds have different risks. So, if you ask me do not take too much risk by investing Gilt Funds, Credit Risk Funds, Dynamic Bond Funds and just stick to Liquid and Ultra and Short term funds. However, If you sure that you sure that you do not need money for more 10 years, you can invest in Gilt Funds too. As they do not default or Credit Risk and there will be no impact of interest rates if you hold your investment till maturity. 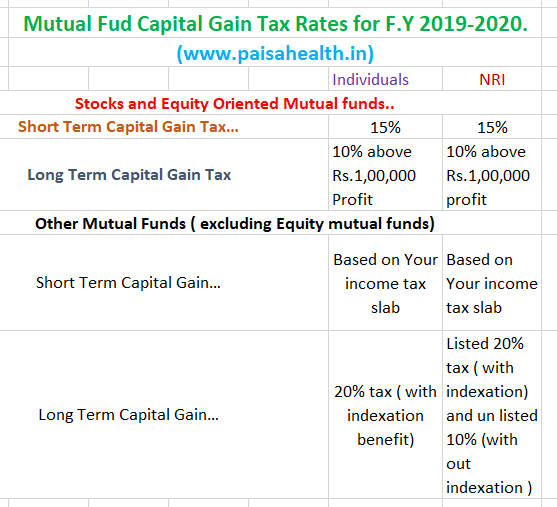 Moreover, You may end up higher return in Gilt Funds in the form of capital gain if the interest rates go down all these 10 years or 15 years. In addition, Debt Funds have slightly more edge as their taxis much better than Bank FD and postal Deposits. Read this article, Why real estate is a bad investment?. Click here to read.